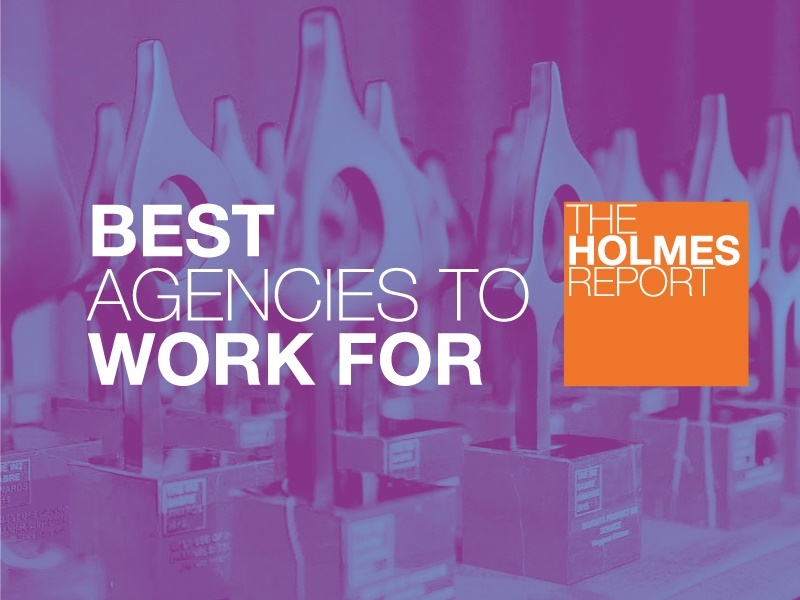 The Holmes Report ranks the top five agencies to work for in North America across size categories: Large, Midsize, Small and Boutiques. Best Agency to Work For is possibly the only predictive award the Holmes Report gives out. By this, we mean there’s a direct correlation between the agencies on this list and those that take home our biggest honor (often times at some point in the future) — Agency of the Year. Trophies for the top ranking agencies will be presented at the 2019 North American SABRE Awards in New York on Tuesday, May 7. Tickets can be purchased here. Top winners are listed below, profiles of top-firms, plus the top five ranking in each category, can be found here. You can also read more about the process via our FAQ.